First and foremost Hammerworks creates all POL12 Onion Post Lights completely by hand. Our Colonial Onion Lights are always made out of solid copper or brass. Consequently they will withstand harsh weather conditions while resisting rust or corrosion. Most importantly our Onion Post Lights are available in 3 sizes. They include both classic squat style onion glass globes as well as the large round globe PRG12. 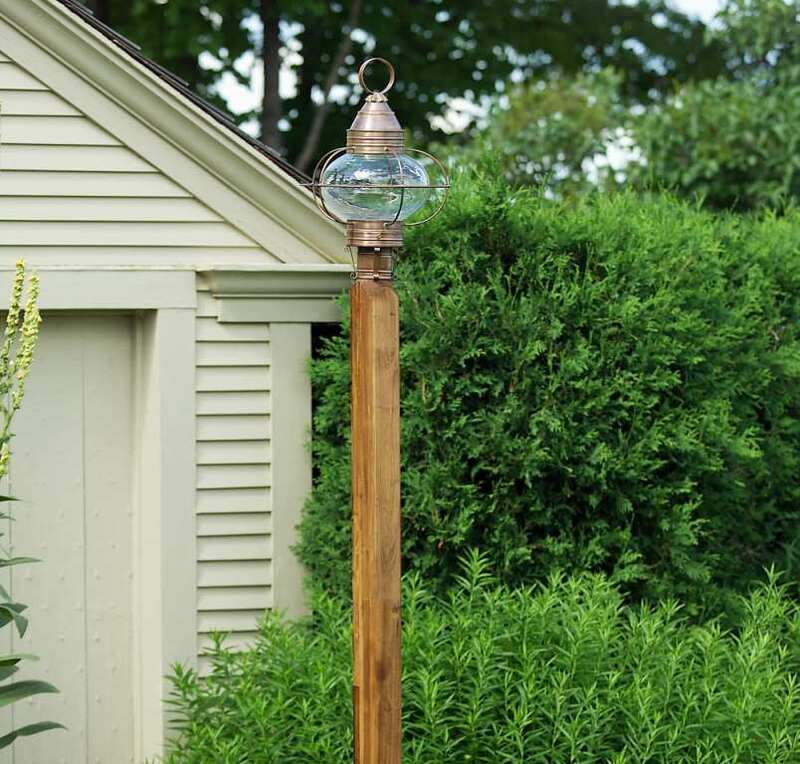 In addition classic Colonial Onion Lanterns will fasten securely to Colonial Style Light Poles with the standard 3″ post fitter. We offer a collection of handcrafted Colonial Onion Wall Lights and Hanging Onion Lanterns styles in a variety of sizes. Whether your design plan calls for Onion Brass Wall Lights OL10 or Copper Onion Wall Lantern OL6 you will find them within our collection. In addition you can choose from a variety of antique brass or Hanging Copper Onion Lights. As a result you can easily coordinate your lighting scheme. Onion Lanterns evoke a quintessential nautical design defining old New England craftsmanship. While they are popular for Cape Cod Style Homes, Onion Lights are ideal for Early American Colonial, Traditional Styles and Lakeside Homes among others. Most importantly we include post mount, wall mount and hanging Onion Lanterns in our collection. Thus we are a complete source when choosing Onion Lanterns for your home. Most noteworthy, many customers prefer to mix and match their lighting styles. Therefore you can choose from any of our various Colonial Hanging Lights to complement Onion Post Lights. 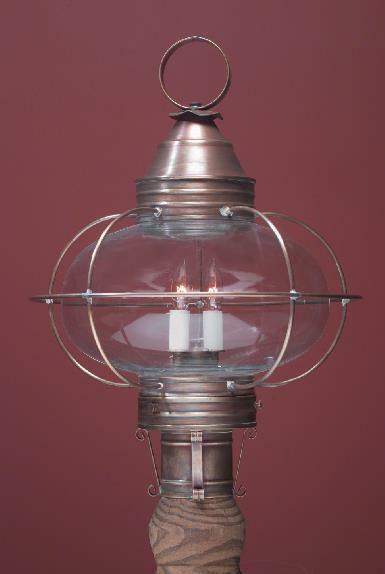 Thus for a rustic style Hanging Copper Colonial Lantern Pyramid HP119 is an excellent choice. If your preference is formal or traditional then Colonial Style Hanging Lantern Coach H105A or Colonial Pendant Light H112 are ideal options. No matter what you will always find exceptional quality and variety at Lighting by Hammerworks.